Have you ever felt faint after not eating for an extended period of time? How about stood up too quickly and became quite dizzy? If so, you’ve been light headed. It is a common occurrence but can be frightening if you are unsure of the cause. When you are light headed, you may feel like you’re about to faint or pass out, and you may even feel nauseated. 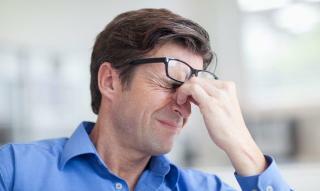 Other symptoms, such as nausea and clouded vision, can accompany lightheadedness. If you feeling light headed, and aren’t certain of the cause, come to FastMed Urgent Care. We strive to provide quality medical care, with great compassion, to determine the cause of your symptoms. Most of the time, lightheadedness has a simple explanation: maybe you moved too quickly from a seated to a standing position; or when you became dehydrated from not drinking enough fluids. However, feeling light headed can be caused by an underlying condition. Lightheadedness that is not caused by a serious condition typically goes away on its own over time. If feeling light headed is a common problem for you, you should seek medical attention as soon as possible. These causes can range in severity, and your physician will want to rule out any serious or life-threatening causes before prescribing treatment. To be seen for your lightheadedness and rule out any underlying conditions, stop by FastMed. We are open 7 days a week, 365 days a year to treat your for any non-life-threatening illness or injury.